Signature Plumbing, Inc. is a North Carolina-licensed and fully insured plumbing contractor. We have been in business since 2000 and have successfully completed hundreds of projects in Wilmington and surrounding areas. We are a member of the Better Business Bureau, Plumbing & Heating Contractors of North Carolina, Cape Fear Green Builders Assoc., Wilmington Contractors Association and Wilmington Home Builders Association. Our staff consists of a team of trained and qualified Project Managers, licensed plumbers, journeymen plumbers and service technicians. We currently provide quality plumbing services in the following areas: Commercial, Residential, Multi Family and a have fully staffed service and warranty department. 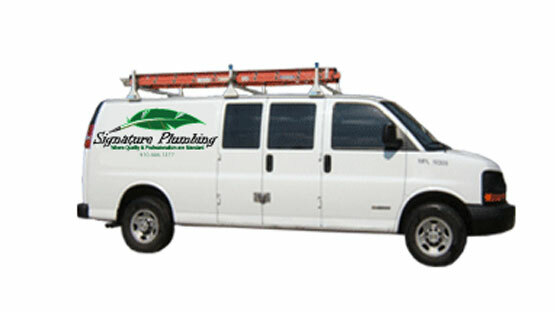 We are dedicated to providing top quality plumbing work and complete customer satisfaction in every job we do! Our plumbing management professionals organize, lead and manage the people, materials and processes of construction utilizing construction management professionals. If you come all the way down here, you probably really like our plumbing company based in wilmington north carolina. To save you all the troubles finding where to find us on Facebook, we have a solution for that too. Just click the button below. © 2000 - 2015 Signature Plumbing, Inc. All rights reserved.